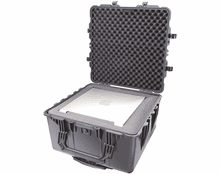 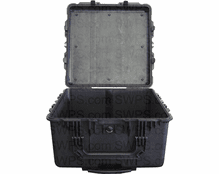 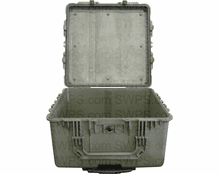 Pelican® Waterproof 1640 Protector Transport Case boasts nearly 8,000 cubic inches of usable storage space for organizing anything from flat screens to industrial electronics. 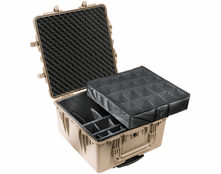 Standard features of this case include stainless steel, ball-bearing, polyurethane wheels; a telescoping handle for easy transport; and rubberized top and side grips for maximum comfort. 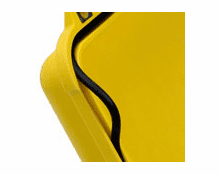 The polymer o-ring helps seal out dust and water, while the Gore-Tex automatic pressure equalization valve allows air molecules to pass through, preventing "vacuum-lock". 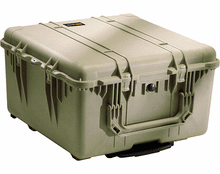 Your equipment is kept safe and dry, but will remain accessible even with severe changes in altitude and pressure! 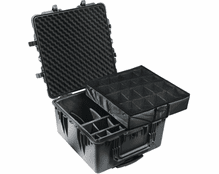 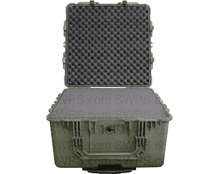 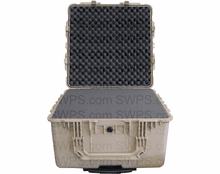 The Pelican® Protector 1640 Transport Case - Extra-large storage, to go. 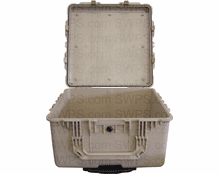 This case has internal wheel and/or handle wells that will reduce usable area. 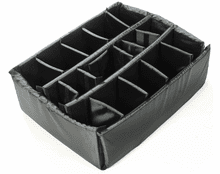 Please review for each application.